American Dog frontman Michael Hannon has revealed that the band will be entering the studio to record the AC/DC classic “Givin’ The Dog A Bone”. 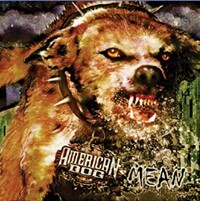 American Dog recently released their new album ‘Mean’, the follow-up to 2007’s ‘Hard’. A deluxe version of ‘Mean’, complete with a ‘dog-tag’, sticker and autographed poster, is available for purchase at www.americandog.us.